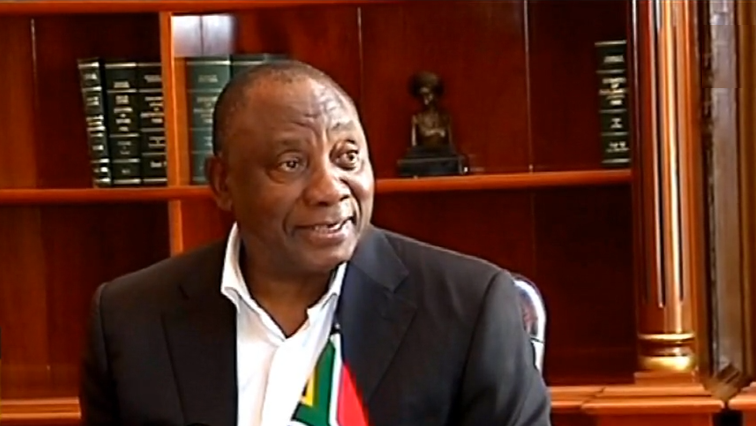 President Ramaphosa's magic is exactly what the country requires in this moment - SABC News - Breaking news, special reports, world, business, sport coverage of all South African current events. Africa's news leader. South Africa may be far from perfect, but ours is a truly blessed country. Just when our collective focus is on the revelations emerging from the Zondo commission of inquiry into state capture and the other two similar processes – one probing shenanigans at the National Prosecuting Authority and the other looking into the dubious activities at the Public Investment Corporation (PIC), then comes the reassuring State of the Nation Address (SONA) by President Cyril Ramaphosa. For far too long, South Africa has had to bear the brunt of ugly scenes in parliament, pitting political opponents against each other in a way that depicted politics as a despicable vocation. Back in the days, at the height of the apartheid-era Nationalist Party rule, the annual opening of parliament used to a spectacle of high expectation that the minority government would agree to end institutionalized racial segregation. But, alas! We’d walk away in great disappointment and simmering anger at our continued oppression. It became a culture then, to pay undivided attention at each and every SONA, appreciating that it was a time of major announcements. When the ANC won the first democratic elections on 27 April 1994, local history followers were jubilant that the great Nelson Mandela would take to the podium at a much more credible SONA, endorsed by the electorate and indeed the international community. The ANC continued to win every general election since Mandela’s presidency. The party bestowed on the populace presidents Thabo Mbeki and Kgalema Motlanthe in that order. The decorum was intact. The agenda to redress the socio-economic imbalances of the past were a high priority. The wheels, of course, began to come off during the Jacob Zuma years. As soon as he was elected the governing party president in December 2007 in Polokwane, prominent ANC leaders led by Mosiuoa Lekota broke away to form their own party, Congress of the People (COPE). The cracks within the ruling party grew wider and bigger when the influential youth league leader Julius Malema was ejected from the ANC kicking and screaming and pleading for clemency but to no avail. The nine years of democracy under Zuma continue to divide opinion, suffice to admit that the mushrooming of popular opposition to the governing party happened under Zuma’s watch. The emergence of the Malema’s Economic Freedom Fighters (EFF) in parliament transformed the house into a battlefield, not only of ideas but also introduced physical exchange of blows and a decline in the regard for age-old tradition of esteem in decorum. These were developments diminished appetite for SONA among a large number of citizens. Just weeks prior to his second SONA, president Ramaphosa was warned by the EFF that his honeymoon period was over and the party would henceforth treat him with the same disdain it unleashed on Zuma. Threats by the EFF of turning SONA into a cantankerous parliamentary Q&A could not be taken for granted, and for good reason. On the day of this year’s SONA last Thursday, tension in the air was so thick one could cut it with a knife. But, as the affable president Ramaphosa navigated his early parts of the speech, he evidently reached out to both Malema quite jovially, and was rewarded with a beaming smile, perhaps laughter of approval, from the EFF leader. A similar magic president Ramaphosa extended to the leader of the official opposition, Mmusi Maimane. From there onwards, any lingering fear of disruption disappeared into thin air. The man who was central to SA’s negotiated settlement in the early 1990’s had shown his mettle at brokering peace. The President was convivial throughout his delivery, and with little or no disruption laid down his plans for this beautiful land. Jobs, eradicating poverty, ending corruption, equal opportunities, revamping the education system to prepare our children for the Fourth Industrial Revolution were some of the key points from a man who nowadays sits as a co-chair to the global Future of Work initiative. In the Aftermath of SONA, one could feel the collective sigh of relief. The country is back where the electorate wants it to be – characterized by mutual respect among our elected public representatives. Parliament, naturally, is a meeting place of ideas. We need parliamentarians who invest their time and resources in legislative research and enact laws that ameliorate the plight of the bulk of our people for they deserve no less. All hail to President Ramaphosa to give South Africa much-need hope at a time when the country most needed it. We are indeed blessed to have him at the helm of our society. Rise, Ramaphosa. This entry was posted on 11 Feb 2019,06:45PM at 6:45 PM and is filed under Opinion. You can follow any responses to this entry through the RSS 2.0 feed. Both comments and pings are currently closed.